Shahid Kapoor has established himself as an ace actor and has been a part of the Bollywood industry for the last 15 years. In a world where half-siblings are generally not on the best of terms, Shahid’s family is a revelation. 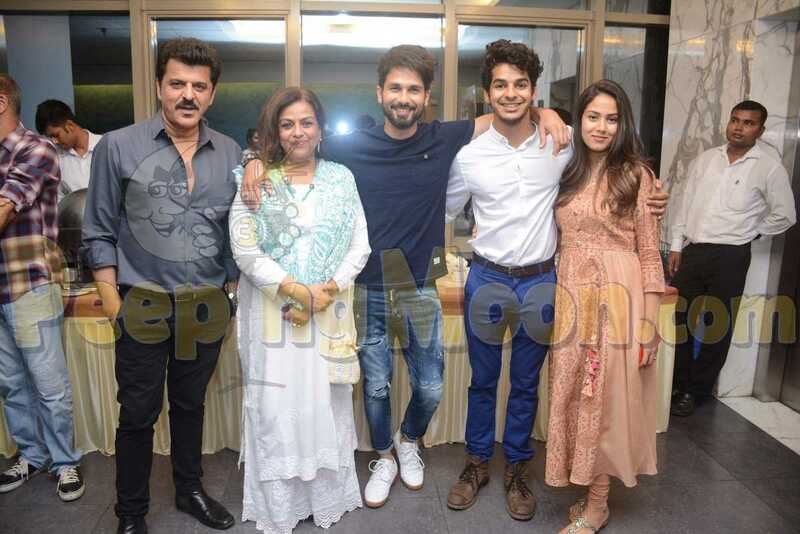 He has three half-siblings – Ishaan Khatter through his mother Neelima Azeem and Sanah Kapoor and Ruhaan Kapoor with father Pankaj Kapur and he is on amicable and loving terms with all of them. In fact, Sanah made her Bollywood debut in his film Shandaar. Now, that Ishaan has embarked on his Bollywood journey, Shahid was asked about his lil brother during a recent interview with a leading daily. While Ishaan was promoting his film Dhadak he had named Shahid as the ‘strongest male influence in his life’, taking the same cue Shahid was asked about the compliment. The Padmaavat told the leading daily, “You know, I was 14 when he was born so by the time he was four to five years old, I was 20 and independent by then. At 21, I started working so I’ve always had a very paternal feeling towards him and not the typical siblings’ emotions. I vividly remember that he used to come to the sets even when he was three or four years old, so he has literally tailed me around. Ishaan was always a jumpy kid, bouncing around.” Now, isn’t that sweet? On the work front, Shahid is all geared up for his forthcoming release Batti Gul Meter Chalu opposite Shraddha Kapoor and Yami Gautam. He also has Sandeep Reddy Vanga’s Hindi remake of his hit film Arjun Reddy.